The Indus Valley Civilization has remained a fascinating and enduring enigma. By understanding the Indus script, we can verify what has been deduced about the civilization so far and also learn about the people who lived in it. Numerous attempts have been made to decipher the script and different debates have sprung around it. For the time being, statistical analysis is considered the best avenue by experts. What is known of the Indus Valley Civilization? The cities discovered in the civilization reflect a degree of skilled urban planning that remained unmatched for a long time. The cities were divided into two sections – an elevated section that housed important buildings such as the Great Bath and other huge public buildings – and the lower town where people resided. The houses had their own wells and toilets. The drainage systems – part of the world’s first known urban sanitation – were remarkably sophisticated. 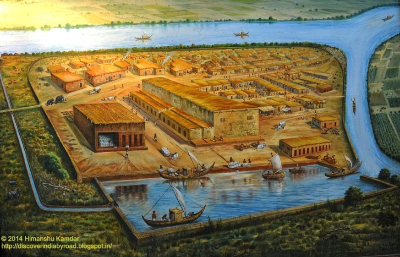 The granaries, dockyards, brick platforms and protective walls of Harappa – one of the famous Indus Valley sites – exemplify the advanced architecture of the civilization. The well-networked roads also suggest thoughtful planning. Marine and land transport systems were advanced to facilitate long-distance trade which seems to have contributed significantly to the civilization’s economy. Their trade network is said to have extended up to the Persian Gulf. The people of the Indus Valley Civilization were among the earliest to come up with a system of uniform weights and measures and could accurately measure length, mass, and time. They fine-tuned the metallurgical process to produce copper, bronze, tin and lead. The docks they built suggest their engineering expertise was remarkable. It has also been suggested based on the discovery of eleven molar crowns that they practiced the earliest form of dentistry. Their inventions include the button, the ruler and the stepwell. Larger than the Egyptian and Mesopotamian civilizations, the Indus Valley Civilization spanned over one million square kilometers and included parts of modern day India and Pakistan. Given the vastness and advancement the civilization achieved, it is indeed fascinating that the civilization remains an enigma – we know nearly nothing about it. Epigrapher Bryan Wells says the Civilization is as mysterious as its symbols – “If you were to ask an archaeologist, they would not be able to tell you where the Indus Civilization came from with certainty, or how it ended, or what they were doing when they were around”. Neither do we know who exactly these people were, and new evidence pushes back their origin by at least 2,500 years. Why is it critical to decipher the Indus script and what makes it even harder? It was only when the hieroglyphics of Ancient Egypt were deciphered – thanks to the indispensable guide, the Rosetta stone – did the world of Ancient Egypt reveal itself to scholars and enthusiasts. By analogy, the Indus script holds the key to unlocking the mysteries of the Indus Valley civilization. Indus seals are not like the Rosetta. The Rosetta stone is a record in three texts, of the same decree passed by a council of priests that lionizes thirteen-year-old Ptolemy V on the first anniversary of his coronation. Thanks to those who understood the more easily decipherable texts, the meaning of Egyptian hieroglyphics and through them the scientific pursuits, literature and religious beliefs of Ancient Egyptians. Unfortunately, such a guide to decoding the Indus script eludes us or had never been prepared. The length of the texts is too small – on an average, an artifact contains only 5 symbols – to determine the writing structure. The language remains unknown and so does the language family used by people in that period across the place.The culture and writing system seem to have died out with the civilization. 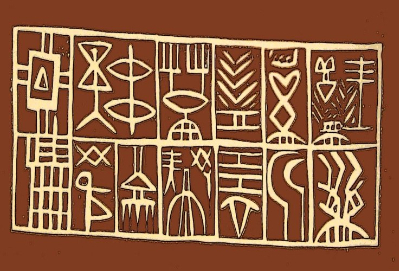 There is also much controversy about the script’s type – is it alphabetic, or syllabic, or logo-syllabic or something else The names and genealogies of Persian kings helped make headway in deciphering the Old Persian cuneiform script.Without pertinent historical information, the task becomes more challenging with the Indus script. When was the script discovered? 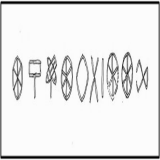 In 1875, a seal with Harappan symbols was first published in a drawing by British army engineer Alexander Cunningham. In the 1930s scholar G.R. Hunter made an effort to uncover patterns within the Indus signs. 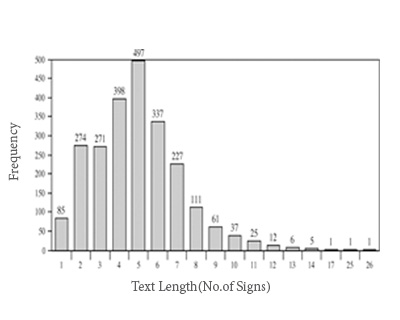 He hand-listed clusters of signs segmenting the texts into short words of two or more signs. He discovered the position-specific occurrence of certain symbols and words and could work out some of the structure but not enough to decode the script. In the early 1970s, Indian epigraphist Iravatham Mahadevan published a corpus – large and structures set of texts used to perform statistical analysis and hypothesis testing – and concordance – alphabetical list of principal words – of Indus inscriptions. He found the average length of an inscription and also showed the direction of writing to be right to left. One of the debated aspects of the script is whether it denotes a linguistic system or a non-linguistic one. Some evidence that point to the language hypothesis. For most linguistic systems, a semi-predictable pattern of words and symbols can be determined. This has been called conditional entropy. In 2009, a paper published on the Indus script pointed out that a comparison of its conditional entropy with known linguistic systems such as Vedic Sanskrit and known nonlinguistic systems such as the DNA sequence revealed greater similarity with the linguistic systems. “So, it’s not proof that the symbols are encoding a language but it’s additional evidence hinting that these symbols are not just random juxtapositions of arbitrary symbols,” Rajesh Rao, director of the National Science Foundation’s Center for Sensorimotor Neural Engineering and a professor in the Computer Science and Engineering Department at the University of Washington told The Verge. Where are the counterarguments from? While most scholars agree with the language hypothesis, a few are unconvinced. Cultural neurobiologist and comparative historian Steve Farmer, computational theorist Richard Sproat, and philologist Michael Witzel are among those who opine that the Indus script is a non-linguistic system. According to Farmer, it is only within “the highly politicized world of India” that the notion of Indus text being an undeciphered script is unanimously held. He points out that mere structure in symbols does not make them a language as zodiac signs show. While counterarguments fly back and forth, one point where there is some consensus is that if the Indus script is found to be non-linguistic, things might become even more interesting – it could give clues on ancient civilizations that did not have a writing system, of which knowledge is sparse compared to what is known about civilizations equipped with writing systems. Modern-day politics in India. Groups compete with one another with chilling ferocity as they set out to claim their people the true inheritors of India because their language and culture makes them direct descendants of the Indus Valley peoples.Sanskrit region in the north, Dravidian region in the south and those communicating in tribal language in the middle each argue from a modern political point of view. Wells says, “I know people who have received death threats for saying it’s not Sanskrit or saying it’s not Dravidian.” Tensions between India and Pakistan also have negative impacts on Indus studies. Lack of funding. Wells believes universities and funding agencies need to involve themselves to initiate and build momentum for research on the Indus script. Who have presented different language hypotheses? Yuri Knorozov, a Russian scholar, used computer analysis to put forth the Dravidian language as the most probable candidate. 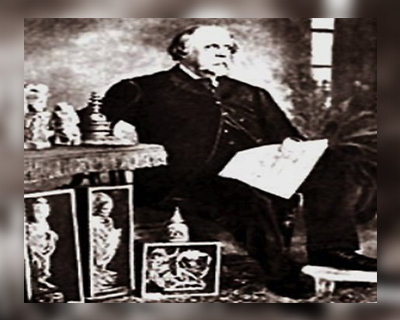 Spanish archeologist and historian in India Henry Heras suggested the Dravidian roots before Knorozov. Finnish scholar Asko Parpola and Iravatham Mahadevan also support the Dravidian hypothesis. 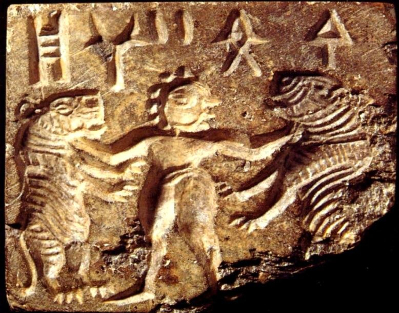 One of the clues put forth by readings Heras and Knorozov carried out was the occurrence of symbols of fish and star together on Harappan seals – both are referred to as ‘min’ in the Dravidian language. Mahadevan cited the finding in Mayiladuthurai, of a Neolithic stone celt with four signs he said belonged to the Indus script as evidence. The arrow-head symbols found by the Tamil Nadu Archeology Department during a 2007 excavation in Melaperumpallam are said to bear a remarkable resemblance to seals uncovered from the Mohenjo-Daro site in the 1920s. Shikaripura Ranganatha Rao, an Indian archaeologist, compared the Indus Script to the Phoenician Alphabet – the oldest verified alphabet used by the civilization of Phoenicia – and used the comparison to assign sound values. 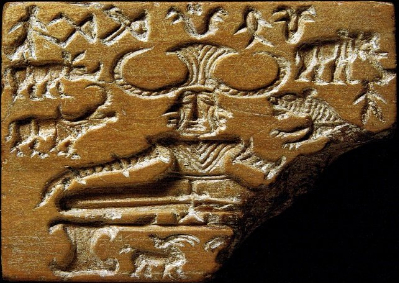 In addition to his Sanskritic reading, he observed several similarities in shape and form between the late Harappan symbols and Phoenician letters to add to his claim to have deciphered the Indus script. John E. Mitchiner also presented his own set of arguments to make the case for an Indo-European basis in the script. 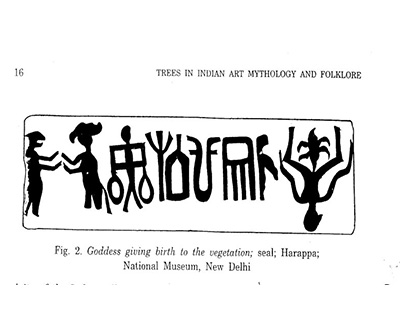 A match of several symbols and numerals between the late Harappan and Brahmi scripts has garnered support for a connection between the two. Different scholars have also claimed the script is a subset of the Aryan languages, the Munda family of languages spoken in central and eastern India and Bangladesh. Comparisons have been made also with the Linear Elamite system of ancient Persia, Austroasiatic languages and Sino-Tibetan languages. Note: Sanskrit is a phonetic language, meaning it is a system for transcribing the precise sounds of human speech into writing. It is believed that all phonetic alphabets ever used by human beings have derived ultimately from the ancient Phoenician alphabet. How can the interest and enthusiasm be sustained? By aiding and incentivizing scholars and generating greater interest about the quest through innovative strategies. A physics professor from Tata Institute of Mathematical Sciences and his research associate are developing a program to precisely extract symbols from a photo of an Indus artifact. They aim to make an app that archaeologists could install on their mobiles and have inscriptions extracted in a moment. This would provide a phenomenal time advantage. A global public repository of all Indus Valley scripts would potentially attract analysts, contributors and enthusiasts throughout the globe. Farmer, Sproat and Witzel had offered $10,000 for anyone who could find a lengthy inscription. While this was more an assertion of their belief that there will be no such inscription, a cash prize for deciphering the script would attract more interest. By spreading the challenge far and wide, one could attract enthusiasts with diverse skill sets. Deciphering the Indus code remains one of the biggest challenges in understanding the history of an ancient civilization that was like no other. It will need efforts proportional to the scale of the challenge.